Join Bob and Bruno in getting to know more about the towns in Australia and the brilliant fauna you can find around the country. We’re studying Australiana! Where in Australia do you live? What is the State? City? Suburb? How many places in Australia have you visited? Where were they? What were some of the places that Bob and Bruno went to beginning with B? Can you think of any others? There are a few animals drawn on the map in the book. Can you think of what they might be called? Do you think they start with ‘b’? Can you think of some more? 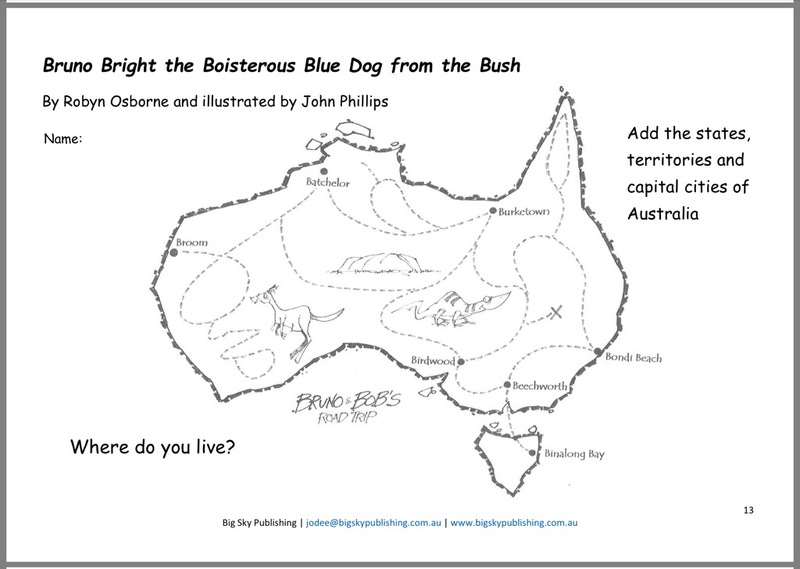 Complete the activity by Robyn Osborne and John Phillips from Bruno the Boisterous Blue Dog from the Bush. How will you find out where the states, territories and capital cities of Australia are? Take it a step further and write / underline all the places that start with ‘B’. From the teaching notes at Big Sky Publishing. Once you’ve done your research into different places around Australia, choose one (perhaps it will start with ‘B’!) and discover even more information about it. For example, what activities you can do there, tourist sites you could visit, any special landmarks or delicacies known to that area. Create an inviting and enticing travel brochure to persuade others to visit your chosen location. 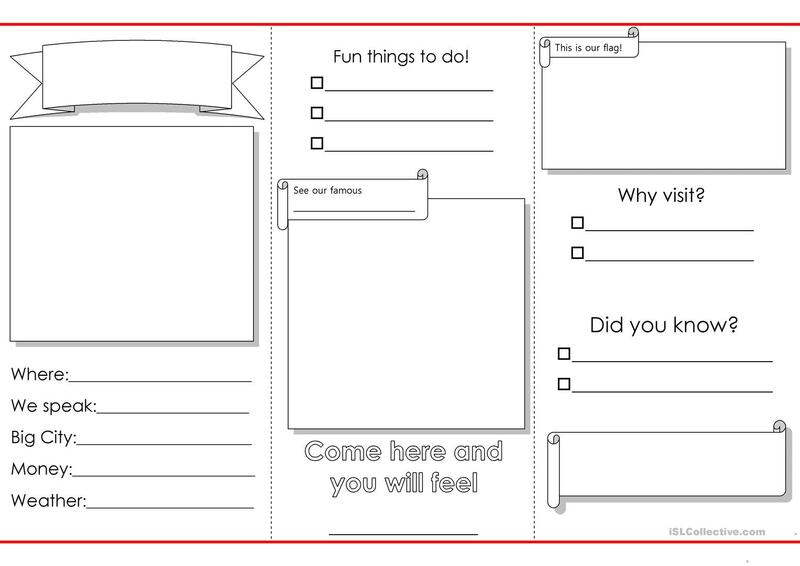 You may use the template or design your own. How many different kinds of Australian animals can you think of that begin with ‘b’? Make a list. Then do some research and find some more! What do you know about these animals? In which parts of Australia are they most commonly found? You can find heaps more at Oz Animals. Download the map of Australia or use your own. 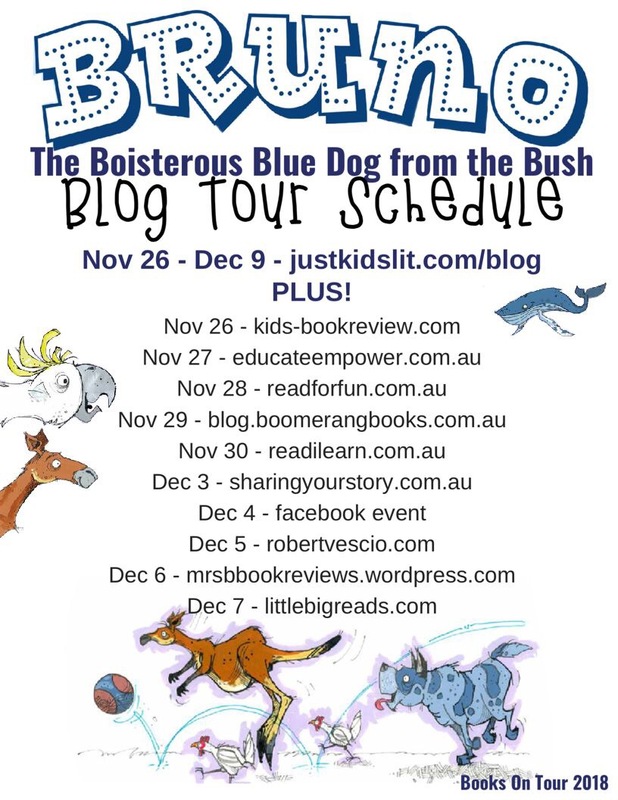 For more educational activities please visit the Bruno the Boisterous Blue Dog from the Bush Pinterest Board. And be sure to find brilliant teaching notes at Big Sky Publishing.